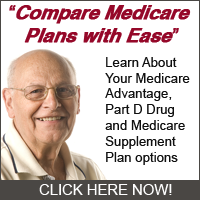 When you are enrolling in your Medicare coverage you often have to decide what coverage parts you want to apply to you and what parts you don’t. This isn’t the same with some people who carry Medicare because Medicare Part A and Medicare Part B may be automatically included. There are a few scenarios in which this is always the truth and they are outlined below. 1. You get retirement benefits from Social Security or the Railroad Retirement Board. If you get retirement benefits from either of these groups you will start the coverage the first day of the month in which you turn 65. 2. If Social Security provides disability benefits to you or certain disability benefits are received from the Railroad Retirement Board you could qualify. This coverage will start the first day of the 25th month after your Social Security or Railroad Retirement Board benefits begin. 3. If you have Lou Gehrig’s disease (ALS, or Amyotrophic Lateral Sclerosis) you will get coverage starting the first day of the month your Social Security or Railroad Retirement Board disability benefits begin.